Gatlinburg is a beautiful area to explore and whether you're staying in a cabin or a hotel, you'll want to check out these delicious restaurants for a big southern style breakfast. We've eaten at a handful of these restaurants and talked to a few of the locals to find out where they like to eat as well. Here are best places to get breakfast in Gatlinburg Tennessee. Check out who wins Best Breakfast at the bottom of this post! 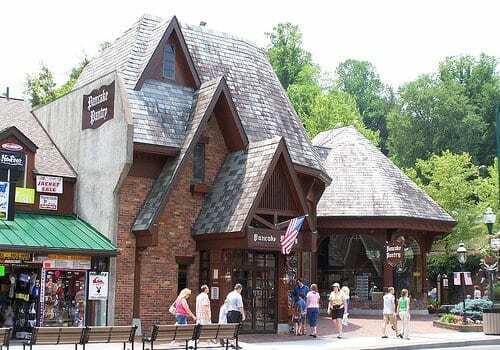 Gatlinburg is known for having a lot of pancake houses, or just places that feature pancakes on the menu, so we will start with our favorite ones. Each of these restaurants serves a full list of morning favorites, some just focus on pancakes more than others. Pancake Pantry – The Pancake Pantry is the first pancake house in Tennessee and it opened in 1960. They pride themselves for using real butter, fresh whipped cream, and everything is made from scratch. They are located in The Village is is an adorable area filled with shops and food. 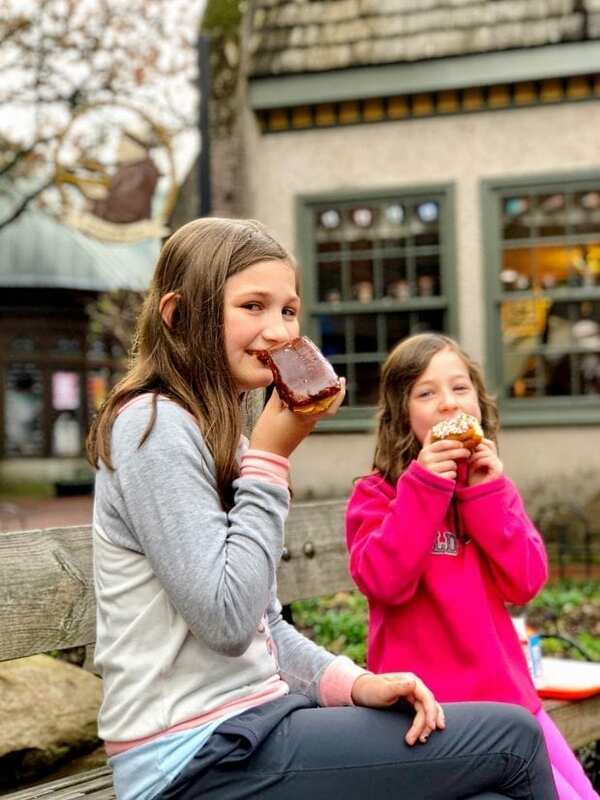 Flapjack's Pancake Cabin – There are three Flapjack's in Gatlinburg, making it easy to find one close to your hotel, cabin or campground. 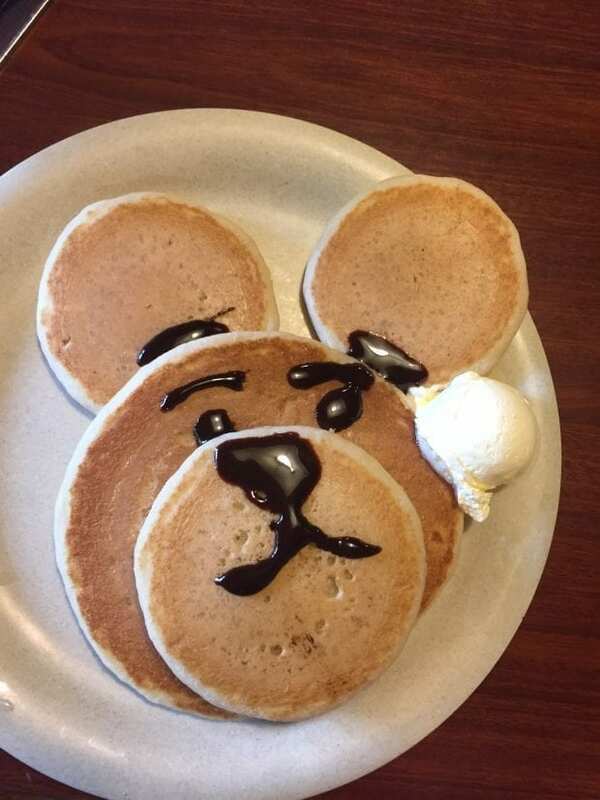 Flapjack's is a family favorite because of the cute little bear faces they make with the pancakes for the kids. Log Cabin Pancake House – One of the highlights of this pancake house is that it has parking and it's free for guest. This is hard to find in Gatlinburg so if you're driving in with the family because you're out at a campground or cabin, then this is pretty handy! Little House of Pancakes – They claim to be America's Favorite Pancakes! They have an “All you can eat” pancake menu item and the first one they bring out is a giant pancake that comes out on a pizza-sized tray! After you finish the big one, they bring out smaller ones. It makes it feel like a fun challenge though. The Donut Friar is located in The Village and it the cutest donut shop. 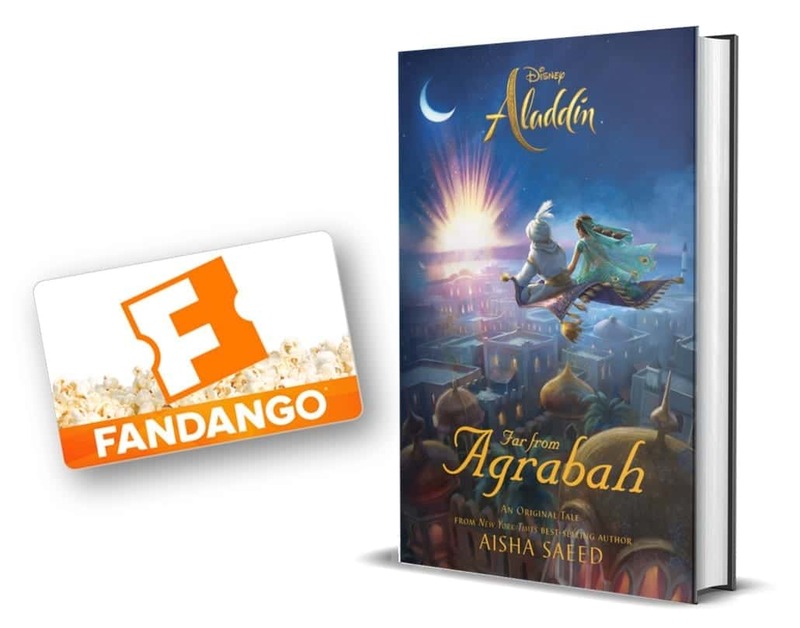 Make sure to bring cash with you for this treat. My girls absolutely LOVED this place. Mad Dog's Creamery and Donuts – What could be better than donuts and ice cream!? Maypops Homemade Ice Cream and Donuts – Located on the main strip of Gatlinburg, this is a great place for sweet snacking. Bennet's Pit Bar-B-Que – An all-you-can-eat breakfast buffet that includes Belgian waffle bar, pulled pork, eggs, sausage, bacon, French toast, pancakes, home fries, grits, biscuits or toast, sausage gravy, cooked cinnamon apples, assorted fruits, donut holes, blueberry muffins and more! Looking for a quick breakfast to take with you while you walk around town or hike in the Smokies? Stop by Old Dad's General Store for a hearty breakfast biscuit. Bear-Land General Store – This place cracks me up because they have a window that says Low Calorie Biscuits & Gravy on the side. This is another good place for a quick bite. Buckhorn Inn – This bed and breakfast is beautiful and offers amaing views! Timber's Log Cabin Restaurant – They serve breakfast all day. Crockett's Breakfast Camp isn't just the best breakfast in Gatlinburg, it's probably the best breakfast I've had in my life! Get there early because the word is out about this amazing restaurant. 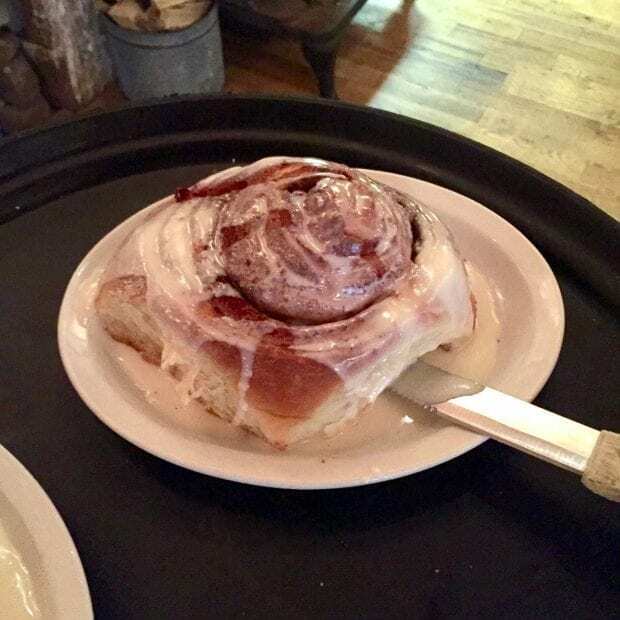 The menu is slapped full of your morning favorites but you have to try a cinnamon roll. They are as a big as a dinner plate and can feed the whole table. Another favorite of mine was the corned beef and hash and the homemade biscuits and gravy! Crockett's is open 7am-1pm 7 days a week!